Probashbangla24 online Desk : Seven Rohingyas were held from Abaderghat in Satkhira Sadar upazila on Wednesday while being trafficked to India. 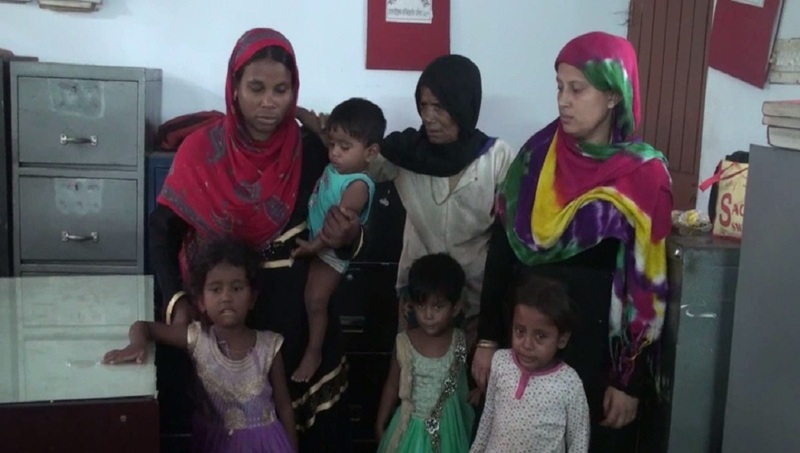 The arrestees are Nur Begum, 45, wife of Selim, their three children — Rashida Begum, 5, Jannatara Begum, 3, and Sagar, 1, Hasina Begum, 22, wife of Azizul Haque, their daughter Rozina Begum, 4, and Usun Zaman, 75. Mostafizur Rahman, OC of Sadar Police Station, said following their suspicious movement along the border, locals caught them. Later, they were handed over to police.